High profile surrogates for Hillary Clinton and Donald Trump made their final pitch to southern Nevada voters over the final weekend before Election Day. 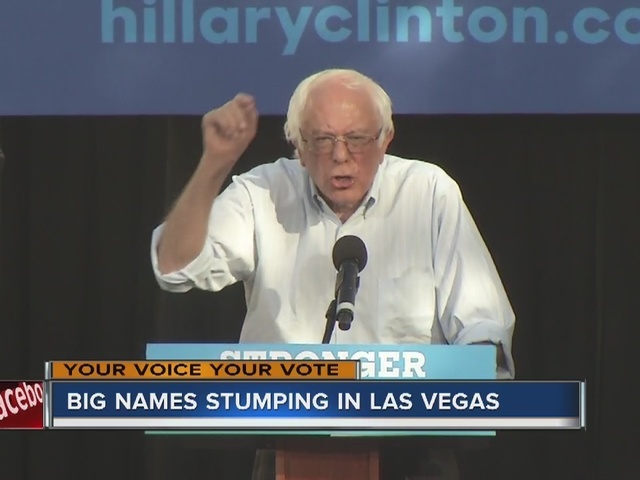 Former New York City Mayor Rudy Giuliani spent Sunday morning at Trump’s Las Vegas campaign headquarters, while Vermont Sen. Bernie Sanders rallied supporters for Hillary Clinton at a North Las Vegas community college. Though Democrats ended the state’s two week early voting period with about a 50,000 lead in registered voters over Republicans, both campaigns still consider the state and its six electoral votes to be in play ahead of Election Day. Sanders said voters had an “awesome responsibility” as one of the handful of states that could break for either candidate, and spent much of his 40 minute speech linking his regular campaign stump speech to Clinton and U.S. Senate candidate Catherine Cortez Masto. 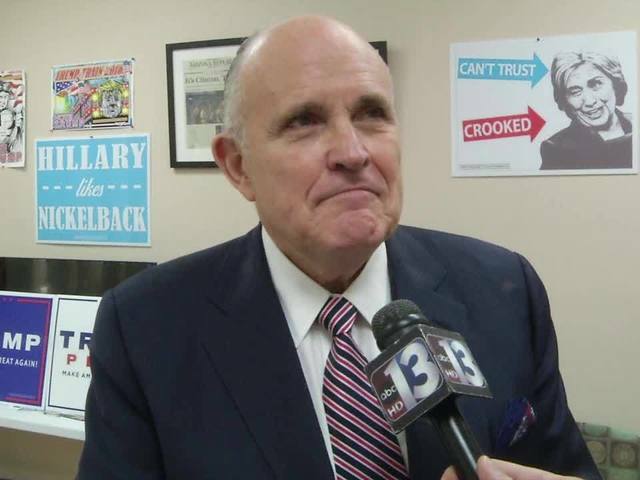 Giuliani, who made stops in Reno and Elko over the weekend, told KTNV in an interview that Democrats historically tend to lead in early voting totals but was confident that Republicans could overcome the deficit on Election Day. Trump himself made an appearance in Reno on Saturday, where the Republican presidential candidate was notably rushed off-stage while speaking. Election Day is Tuesday, and voting in Nevada will be open from 7 a.m. to 7 p.m. , though any voter still waiting in line will be allowed to vote.